So we’ve plotted out your game plan. You have a great niche, a list of profitable products, and a crystal-clear picture of your target buyer. You could jump into an ecommerce store right now and try to start selling. You see, you don’t know if the product will actually succeed. Launching an ecommerce store now would be like jumping out of a plane to test your parachute. It might work… but wouldn’t you rather practice in a safer environment? In this section, we’ll talk about the best ways to “practice” selling your product. If it works, great! You have the green light to start selling. But if it doesn’t, you’ve saved yourself countless hours of frustration and wasted dollars trying to sell a product that will never get off the ground. It’s time to validate your idea. Before anything, make sure it’s profitable. Without a strong enough profit margin, you’re going to waste a lot of money. First, calculate the total costs of running the business. This includes buying the products, hosting the website, and shipping. Next, figure out how to price your product. And calculate how much you’ll need to sell each month to make things profitable. Remember that there are two types of costs—fixed and variable. Hosting your store won’t cost much more if you suddenly start selling twice as many products. But your shipping and product costs will double as well. Understand this well before you start testing the store. Now what’s left over will be your the amount of cost you have to be under for CPA in order to be profitable on the first sale. Your CPA needs to be $12 ($29 – $10 – $7) to break even and you have to figure out how to lower the cost per customer in order to be profitable. Business is all about people—and the initial stage of validating your products involves a lot of human interaction. This process involves trying to sell your products to people in real life and face-to-face. This is actually a great idea to gauge the response to your products. First, it enables you to know whether or not people are actually interested. You can make all the plans and projections you want but you cannot be certain about whether your product is viable or not until you begin marketing it. Also, the interaction is in person. As a result, you are able to get a first-hand response from your potential customer of what they think about your product. The major challenge a lot of sellers face in the process of doing this is finding the right people to sell their products to. While there are ways to find people of your demographic online, it is often tricky to find them in real life. The first thing to do is to explore your immediate environment. If the product you are selling is in a niche you have some experience with, there should be a number of people around you that you can approach. You should also consider reaching out to local groups who are involved in your niche. If you sell books, for example, approach local book clubs to see if they are interested in your product. Beyond these, one of the most creative ways to find people in your niche is to search for a meetup group. Meetup groups are groups of people involved in various activities (referred to as hobbyists) that find themselves via online meetup groups and meet in real life. The good thing about meetup groups is that there are groups for virtually every niche imaginable. There are groups of pet owners, hikers, art enthusiasts and many more. Depending on what you are selling, it is simply a matter of searching for that niche and joining a meetup group for it. However, you should be advised that trying to sell your goods right off the bat is probably not the best idea. Involve yourself in the group and contribute to the community. If you join the group and immediately begin trying to sell your product, you might come off as insincere and turn people off. When you begin selling your products on your ecommerce store, you will have to deal with things like directing traffic to the site and trying to establish a solid base of customers. While you are validating the product, however, you shouldn’t need to worry too much about these things. That is why it is recommended that you first list your products on popular ecommerce sites such as Amazon and eBay to test the public’s response to them. The first is that you do not need to worry about driving traffic to these sites. They are already known over the world and have millions of people already visiting them. You also do not need to worry about setting up your online store yourself. A framework is already in place to display and sell the products. All you need to do is upload the product to the store and sell. 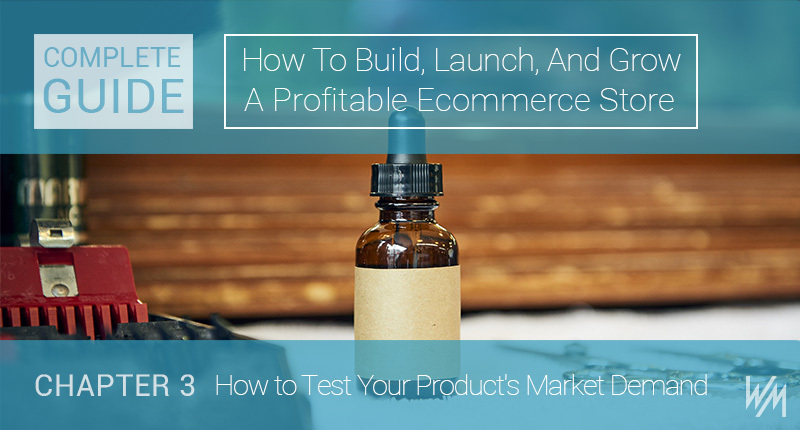 These sites are the perfect platform to test your products on the market before you make the investment of creating your own ecommerce store. To begin selling on eBay, you first need to create your seller account. You then need to create listings for your various products. Each listing should provide as much information about the product as possible and the images you upload should be of the best quality. You then need to manage your listing. This means responding to customer question and filling out the orders. You also need to monitor the various bids on each product. After a buyer is decided upon, you need to ship the item to the buyer promptly and after the sale, respond to any further questions. In the case of selling on Amazon, you also need to open a sellers account and then list the products for sale. When a customer places an order for your product, you will be informed. After you get the notification, you need to ship the item to the buyer as soon as possible. After this is done, you will receive your payment. In many ways, selling on Amazon is quite similar to selling products on eBay. In the process of doing all of these, you need to keep in mind that not only are you testing the response of people to buying the product, but also receiving feedback as well. There is a review section on every product page where customers give feedback on the product and their experience with it. Buyer’s feedback is crucial when selling. This feedback can help expose flaws in the design of the product, highlight its best features and even reveal hidden uses you might not have thought of. Review the review page often and take note of all feedback, both positive and negative. The next step in our eCommerce store guide is a little unique—you’re going to “pretend” to sell products. After all the previous steps have been completed, the next thing to do is to set up a test store. A test store, like the name implies, acts as a forerunner to your actual ecommerce store and helps to determine what kind of sales your product will make if any. The easiest way to set up a test store is to begin a free trial on Shopify. 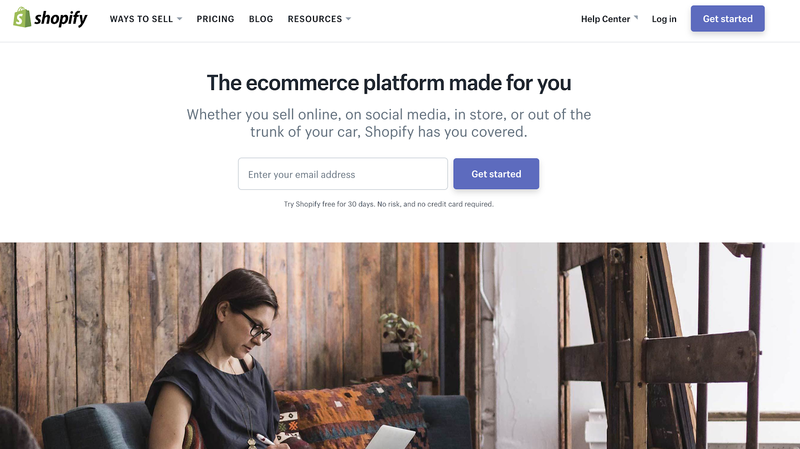 The first thing to do is to configure your administrative settings to make sure that the Shopify app can run properly on your device’s system. Once this is done, you will need to download the Shopify POS app to enable you to access all of Shopify’s features and open your store. Then add all the products you intend to test run on the store. You might decide to add all the products you plan to sell or simply a few for testing. Next, you need to configure your taxes to enable proper recording of your sales. Regardless of the fact that you are testing, whatever sales you make need to be accounted for and thus, this step should not be skipped. Your payment settings also need to be taken care of so that customers will be able to pay you. Your accepted methods of payment need to be approved as well as your method of collecting funds. 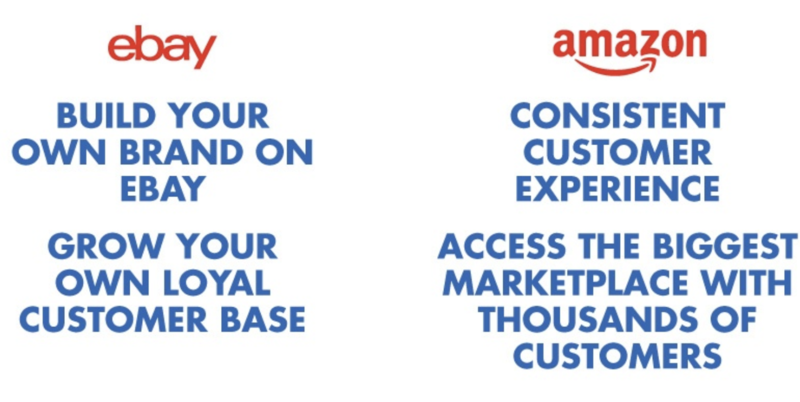 There is no point in putting up your test store if no payment platforms are enabled. Your POS hardware must also be ordered and set up. After all these steps are taken, place some test orders to verify that each stage of the buying and selling process is working correctly. It is better to find glitches in your system early so they can be corrected. Promote your online store to the public so that you can make outside sales. This is the ultimate test of your product as the customer will not be aware that you are testing—but will believe that this is your actual store. This test can last anywhere from a few days to weeks depending on you. Make sure you test until you are able to find the required information. At the end of the test period, tally together with your sales numbers and determine whether they can justify setting up a real ecommerce store. If you do not make any sales from the public, consider looking into a different business idea. If you are only using the site as a test, do not bother to collect payment from customers as it only wastes their time and yours. If you intend to actually ship the product, you can collect payment. It is necessary to test the potential demand for your product and one of the best ways to do this is creating a landing page. Most of us have come across URL or the other that counts down to the launch of a product or service and offers pre-order options. This is a landing page and is a surefire way to tell whether the public will be receptive to your idea or not. When the page is live, the number of pre-orders that you receive is indicative of the kind of sales you can expect. Landing page offers are, however, not limited to the customer pre-ordering a product that is finished and about to be released. Pre-orders can be made for products that aren’t even finished yet. As mentioned earlier, when people donate to a crowdfund for a product, they often do so with the expectation that the said product will be completed at a certain time. If you opt for this route, your backers could be directed to a landing page where they can pre-order the product while it is still in development. This also lets you gauge just how much people believe in the idea itself. When building a landing page, you don’t have to advertise one product alone. You can, instead, build several individual landing pages for several products and promote each of them. This will lead to more pre-orders and more publicity for the upcoming products. Also, by comparing the number of pre-orders for each product, you can determine which products are most popular among customers and which ones they are not responding to. After your landing page has been set up, it needs to be promoted to drive conversation and to increase pre-sales. Pay-per-click ads are a great option. These ads are highly targeted as they target only users who fit your demographic or have shown interest in your niche in the past. You might also want to consider emailing out the link to your landing page to those in your network as well as your crowdfund backers and encouraging them to spread the word as well. Take advantage of social media by sharing your landing page on all possible platforms. If you’re lucky, your product might just go viral and lead to more pre-sales. One of the most mutually beneficial ways to show your product to the world is through guest blogs on popular sites that are within your niche. This arrangement gives content to the blog owners and exposes you and your product to their audience. Landing pages aren’t difficult to create. There are many platforms on the internet from which they can be created such as Strikingly, Unbounce, Shopify, Kickofflabs, Launchrock, and QuickMVP. Depending on the type of product you are offering to the public, you might need to crowdfund to get it off the ground. If you’re reselling products that were already made by brands, you won’t need to crowdfund. However, if you’ve developed your own unique product or are starting your own business, you won’t immediately have an inbuilt customer base and might have trouble producing enough of the product to sell. This is where crowdfunding comes in. Crowdfunding means reaching out to the general public to donate towards the development of a product or business idea. In exchange for the donations, the owners of the idea agree to develop the idea to fruition. These campaigns vary in success rates but you’ll have a much higher chance of success if you share a compelling story behind the idea. On top of this, the idea itself has to be one that inspires confidence in the potential backers. If, for example, it is a product that addresses an existing problem or a product that is particularly innovative, your chances of success are significantly higher. To begin a Crowdfunding campaign you’ll need to sign up on a crowdfunding site. There are a number of them in existence but some of the most popular are Kickstarter and IndieGoGo. When you sign up and create your campaign, it’s up to you to make sure that your campaign gets as much support as possible and there are a few ways to ensure this. First, you should make sure to share your story. Everyone loves a good story and if there is some sort of touching story behind the development of your idea, make sure you share it. If the idea was developed after facing a problem that many people face, make sure this is included as it will help your product resonate with people. You can also give your backers significant incentive to donate. For example, you can offer them exclusive first rights to the product when finished or an add-on gift. Also, make sure your funding goal is a realistic one. Rather than asking people to simply donate, make sure that there is a definite amount you want to achieve that is probable. Asking for millions of dollars off the bat might not be a good idea. Like everything else on the internet, your campaign won’t do well if no one hears about it. Share your campaign across all social media channels and encourage your backers to do the same to drum up support. As you make progress towards developing the product, give periodic updates to your backers. These updates could be pictures and videos. 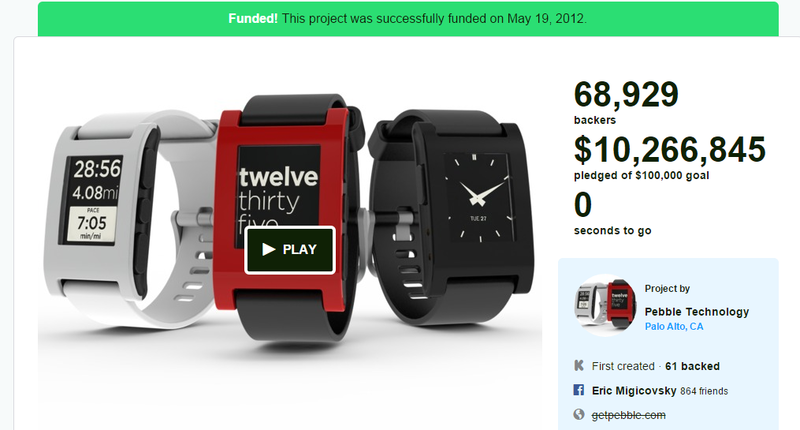 This will keep the momentum for your product high and encourage more backers. Crowdfunding money isn’t for your personal use but for the product. After people have donated to your product, make sure you fulfill your end of the bargain and develop the product. If for any reason you are unable to, inform your backers and return their money. Your pain point should be the thing you base your idea off and monetize. This is because the most valuable products are those that address pain points and solve problems. When you decide on this, find a competent manufacturer to help you bring this product to life and one that understands your vision. As you receive feedback from your backers, manufacturer and beta testers, be open to making changes and tweaking the product so as to get the best version of it possible. Crowdfunding has created many success stories and helped many innovative products get off the ground. An example of this is a smartwatch company called Pebble that raised over $10 million from crowdfunding alone. Choosing a product for your ecommerce store goes beyond your experience and interests. Make use of Google’s keyword tool to determine how popular certain products and brands are to get an idea of what to stock. You should also make use of Google to determine who your competition is and what they are doing. The Facebook ads manager is one of the most creative ways to know just how large your audience is. Industry reports and Google trends are among other resources to take advantage of. Validating a product is a necessary step to take before setting up an online store. The essence of doing this is to make sure that the product has a high enough demand to make a profit and this, in turn, saves the business owner potentially wasted time and money. But once you push through this “boring” phase, you’re ready to move forward with the solid product you’ve established. Choosing the most marketable products for your ecommerce store is achieved through a combination of gauging audience size and competitor tactics.